Falcom has announced that it will release the third entry in the Legend of Heroes: Trails in the Sky HD remake trilogy for the PlayStation 3, officially titled The Legend of Heroes: Trails in the Sky the Third HD Edition. Some of the features available in the new version include enhanced graphics and sound, PS3 themes with artwork from the Third HD Edition and other Legend of Heroes games, and a DRM-free soundtrack featuring all 49 songs. The remake will allow players to use their save data from the PlayStation Portable version. Also, you can use cleared game save data from either the regular or HD Edition of The Legend of Heroes: Trails in the Sky SC to unlock extra items. 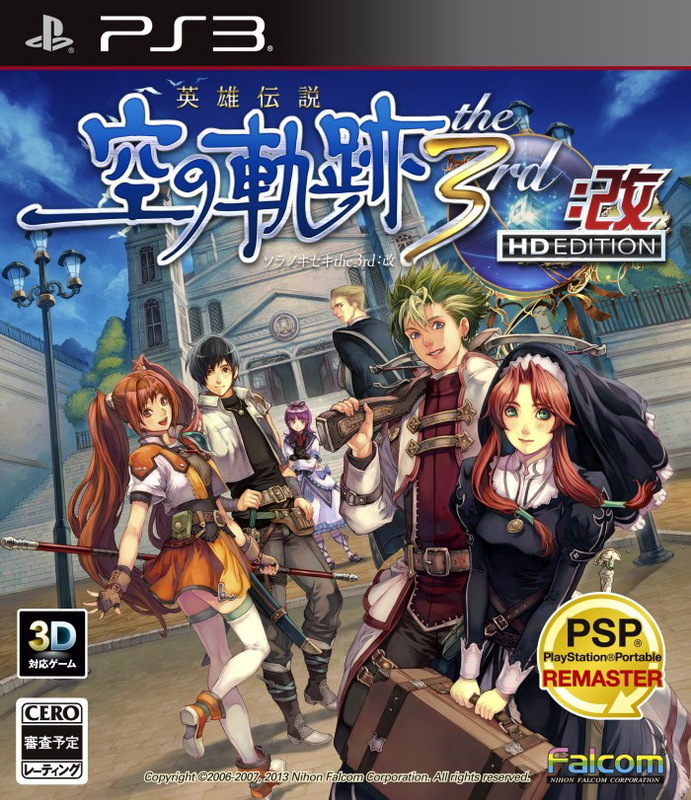 The Legend of Heroes: Trails in the Sky the Third HD Edition will be released in Japan on June 27 for PlayStation 3, at a price of 3,990 yen.